We’re excited to announce a couple of big app updates. The first update centers around our Workout Builder in the Beta Platform. 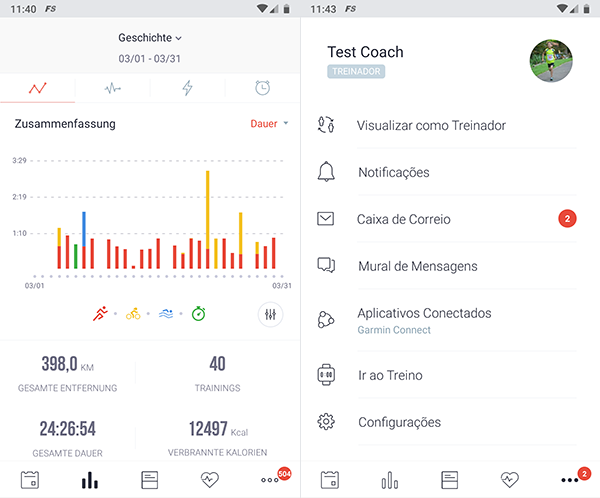 If you or your coach have been creating structured workouts to execute on a fitness device like Garmin (using our Garmin Connect IQ™ app) or Zwift, you can now see the details of these planned structured workouts in the app. From the daily calendar view, you will now see a new icon in the top right-hand corner of the workout card denoting that a structured workout exists for that workout. 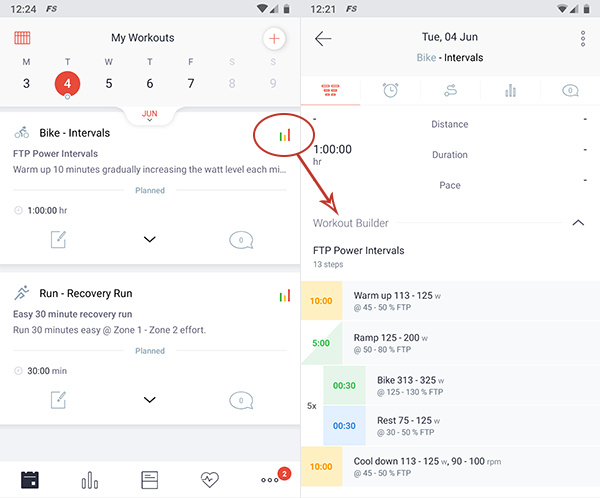 Tap on the workout to view the details, and our new Workout Builder section will now display each step of the workout, along with your exact pace, zone ranges and FTP/Threshold values. Tap on the top of the Workout Builder section to expand and collapse the details of your structured workout. To switch your language in the app, simply go to the Settings page from the more menu and tap on the Language option. Or, if you have already changed your language in the Final Surge full web platform, the app will automatically display the language you had previously chosen.